Plan and plant a colourful herbaceous border with our amazing 9cm pot perennials at a ridiculously low price of only £1.49 each or 6 for £7.99 (promo in store only). There’s plenty to choose from- lupins to lavender, delphiniums to dianthus. Plants in groups of 3 or 5 of each variety for maximum impact at minimum cost! Dahlias – with colours to suit every taste, dahlia’s have come back into fashion and are fantastic for late summer colour in your borders or containers. 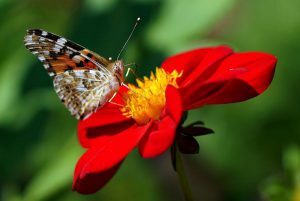 They make great cut flowers and varieties with single flowers are excellent for pollinating insects. Plant in a sunny position. Baby bedding plants- basket and container plants for spectacular summer colour – our Perfect Choice 7cm pot range is now in store! Over a hundred varieties to choose from. 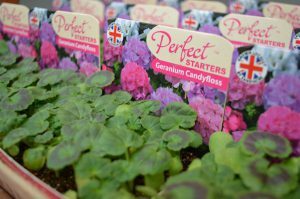 Priced at only 79p each, get a head start on growing on your summer bedding. 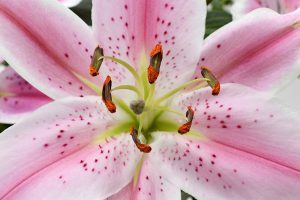 Please note: these plants are tender (i.e not frost hardy) and will need to be grown in a greenhouse or bright frost free place and gradually potted on to larger sized pots. Once the summer comes you’ll be able to place outdoors for a dazzling display. Click here to find out more. 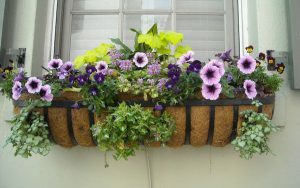 Window boxes and container plants for spring colour: potted spring bulbs – many varieties available for instant impact. Narcissi, tulips, iris plus many more. 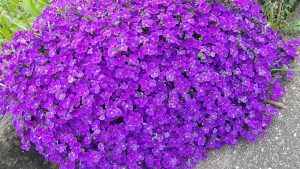 Bedding packs of spring flowering plants such as viola, pansy, polyanthus (primula) Add to your borders or containers for a pop of spring colour. Spruce up your rockery: we have a range of 1 litre pot alpines – a snip at 4 for only £10! Aubrieta, Saxifrages and Dianthus are looking superb. 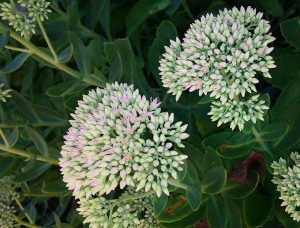 These perennial plants are also useful for ground cover in sunny, well drained borders, or filling an empty space in a container. Heathers are also in – in bud and flower – 9cm pot £1.49 or 11cm £2.49. 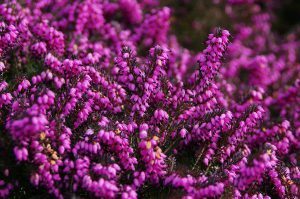 Available throughout the year, there’s a heather variety for every month, and early spring flowering heathers are nectar rich so a magnet to bees. Best planted in groups of 3 or 5 to make a good show of colour. Most prefer acidic soil (ericaceous) but Erica carnea types are lime tolerant (can be planted in alkaline or chalky soils). 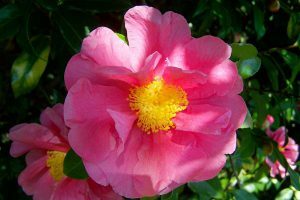 Spring- flowering shrubs: we have so many to choose from it’s hard to know where to start but here are a few favourites: Camellia -fabulous plants full of bud from small to large pot size, spring -flowering fragrant Viburnums such as Viburnum ‘Anne Russell’, V. carcephalum ‘Juddii’ or Viburnum carlesii. Early spring favourites such as forsythia and flowering currant -Ribes ‘King Edward VII’. Daphne odora ‘Aureomarginata’ has the most delicious fragrance with the added bonus of evergreen foliage. Magnolia’s – some good-sized plants with plenty of flower buds. 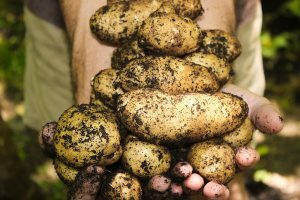 Now’s the time to grow early seed potatoes – we have a large range in stock. Start them off (sprout or chit them) in a seed tray in a brightly lit frost-free place spot. Find out more on our guide by clicking here. 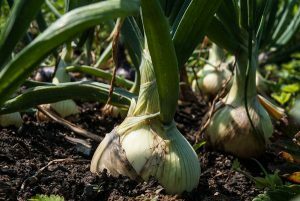 Plant onion sets- as soon as the ground is “workable”, to have a crop ready in late summer to early autumn. Plant 5-10cm (2-4in) apart with the rows 25-30cm (10in-1ft) apart. Depth of planting 2cm (¾ in). Only the tips of the onion sets should be showing. You may need to net the crop or cover with fleece to stop birds damaging the onions, until they are established. 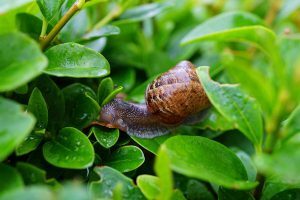 Protect young shoots of perennial plants from slug or snail damage – we have a vast range of products to help you win the battle! From organic remedies like slug traps, physical barriers such as copper tape, or Growing Success Slug Stop granules, to a Slug Bell in which to put pellets out of harm’s way. The latest showerproof slug pellets from Westland Eraza, to Growing Success Slug Killer (organic) -we have all bases covered.